For a little over an hour Thursday night, members of the Gannon University student body gathered in the Yehl Ballroom to have their problems and concerns addressed by President Keith Taylor, Ph.D.
Taylor took roughly 20 questions over the course of the event, addressing everything from worries about tuition costs, long-term university goals, expanding counseling services and more. 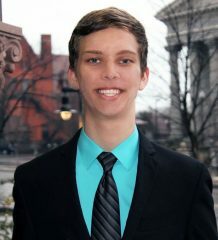 In light of growing concerns over whether the university plans to increase tuition rates, and whether they are considering a freeze, junior David Long proposed the question to Taylor. In response, Taylor said that the university will not hike rates before next year; however, the possibility of a freeze is “low,” according to the president. “We have to compensate,” said Taylor. Another major question discussed were long-term goals that the university was attempting such as growth in students, campus size, etc. Taylor answered by addressing the idea of strategic planning, that is, strategically growing the size of the student body, including international student enrollment and targeting increased community engagement, classroom engagement and TRAVEL program participation. The TRAVEL program is a key goal of the university, according to Taylor. “We want to offer students who want to travel the ability to travel,” Taylor said. Katie Dickey, a freshman SGA member, asked if there were any plans to expand services for counseling, noting that counseling services are closed on weeknights and the weekends. In short, the answer is yes, and it was noted that discussions are currently ongoing as to what extended hours would look like. A key issue that was discussed early on was a lack of international student events on campus. Sidney Oyatta, a junior and member of the African Student Organization, pursued an answer to the question of what more could be done to include more international student events during the year. Taylor responded by mentioning upcoming international student events, for example Saudi National Day, as well as the strides the university has taken over the past few years to incorporate diversity into the culture of the student body. Taylor also took the opportunity to use it as a chance to motivate students to make change within the student body. “If you want something to happen, reach out to SGA, see if it’s in the budget, see how you can make it happen,” Taylor said. Overall, the night was considered a success by those involved. “I thought it was great,” Taylor said. “We had a lot of students who were interested in what’s going on. They had questions, hopes for the future; it’s always good to know students are interested and paying attention to everything from academics, residence life, and what’s going on. 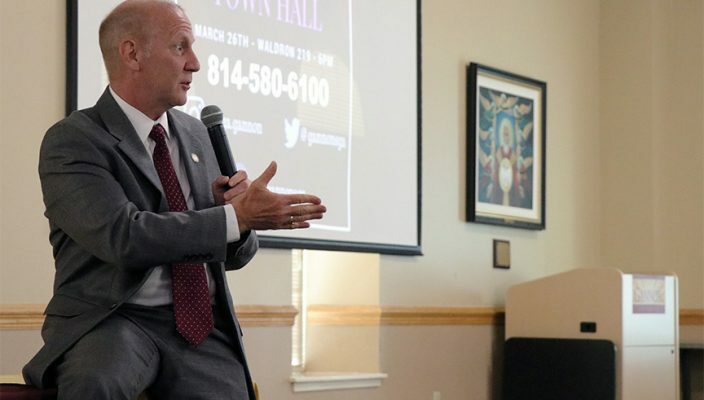 It seems that the SGA-sponsored Town Halls could become a fixture of student engagement and culture.